I have progressed from a Tungsten to a Treo 680 to a Pre Plus to this Pre 2, and have been satisfied with the performance and transition ... until this one. The transition was dreadful, losing most of my apps' data, but the device is excellent. Then HP insisted on 'upgrading' from WebOS 2.1.0 to 2.2.4. I have rebuilt the phone four times, the last time with a complete wipe, and every time the phone would not allow calls out (except to voicemail or a missed call) when the latest OS is running. Guess what? They cannot revert to the old OS, so far cannot fix this glitch. webOS is truly a mobile OS. The interface is just as a user would want to. Android & iOS have copied most of the stuff from webOS. Though 5 MP, the camera captures stunning pics in available light. Sometimes even better than my 18 MP dSLR. FB, Mails, Calendar, SMS is fun to use. Its even more fun on the HP Toucpad. Unlike Android, once you close an app, it closes and does not keep running in the background. Audio is great. Noise cancellation works as expected. Induction charging is so convenient. Lot of plugs to be filled when it comes to construction quality. The only good thing is the Gorilla glass. Lack of onscreen keyboard can make typing a horror. If you can live with few of these cons, then it's a wonderful device & OS to have. the Palm Pre 2 is a decent smartphone, decent hardware, a screen resolution that may seem a bit low in comparison to today's "retina displays" etc. webOS is a joy to use, the multitasking is best-in-industry, notifications are unique, synergy link information well, although it has some serious speed/responsiveness problems at times, due to the lack of optimization. App selection isn't as big of a problem as it may seem, but its still a problem. Build quality is improved over the previous iterations, keyboard is usable, despite its size. Bottom line: decent phone with enough horses under-the-hood, nice touches (said above), and does not have the build quality issues of its predecessors. webOS is an OS full of good ideas (starting to be seen in competitors), but sometimes lacks the basics and has odd quirks/bugs. My wife and bro have had palms for years.So, I thought I would go with it. I have no issues with the smart part of the phone and the web os other than touch screen sensitivity. And issue is my problem with the actual phone usage. The touch screen sux. Making a simple dial the numbers phone call or entering voice mail password is a nightmare because the screen is not sensitive enough. This is not the phone to enter the smart phone world with for a smart phone newbee. I despise this phone, I'd rather have an ancient motorola razr. Anonymous, 30 Dec 2011Palm Dead...next one is Blackberry..then Nokia....then Apple..then Microsoft....... Android... moreAndroid is an operating system Nokia and palm now owned by HP can always switchover from webosor their own os to android. Btw palm webos is a prettynice operating system the multitasking features are amazing most as good as a desktop runnng windows 7.
poor battery life and sound quality, vibrate mode may as well not be there, below par camera quality, takes too long for touchscreen to lock, loses its value, pretty easy to use and excellent internet capability but the neagatives far outweigh the positives for me ! Isn't palm broke yet. It should be. From thenleader of then pack to just plain boring. Donatas, 16 Jul 2011Where you find 80 euro price for this phone?120£@Amazon. Have one for a month. Really like it. The quality of construction and battery are the weak links. 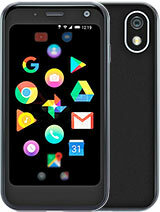 i love the design an the web-os but its a shame that i cant get it in my country there are no palm pre-s there i hate that damn i want this phone i whould kill for this phone (just kidding) but i realy like it and i live in slovenija just for information if enyone reads this. Where you find 80 euro price for this phone? Dont buy this phone..I bought it last week and since then it dissapoints me more and more each day..
*1st of all: its bluetooth doesnt connect with other phones. *2nd: If u take a picture with its camera and put it as a contact picture then a really zoomed in version of it will appear when the person will call. *3rd: Its camera doesnt have a zoom in application. *6th: by a magical way it spends my money with me no touching it..! ferry, 28 Apr 2011couldn't agree more.. indonesia have lots of palmlover..ha hahahaha haha oh the language confusion.....god that's funny. really, palmlover? indonesia needs some women? AnonD-4517, 18 Apr 2011Why this phone release for indonesian customer, I think its will be successed if bundling with... morecouldn't agree more..
indonesia have lots of palmlover..
awesome phone, beautiful ui. Wish it had more apps though. Total of 109 user reviews and opinions for Palm Pre 2.